Our Natural Cranberry Concentrate Liquid is a refreshing cranberry liquid formula that is naturally free from fat, added sugar, cholesterol and preservatives. 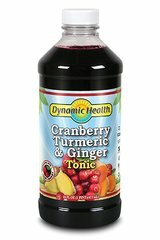 Cranberry Concentrate Liquid gives you 100% natural cranberry concentrate without unnecessary additives or a cocktail taste. In addition, there's the extra nutritional benefit of proanthocyanidins (condensed tannins) which have been identified in the cranberry fruit. No Artificial Color, Flavor or Sweetener, No Preservatives, No Starch, No Milk, No Lactose, No Soy, No Gluten, No Wheat, No Yeast, No Fish.